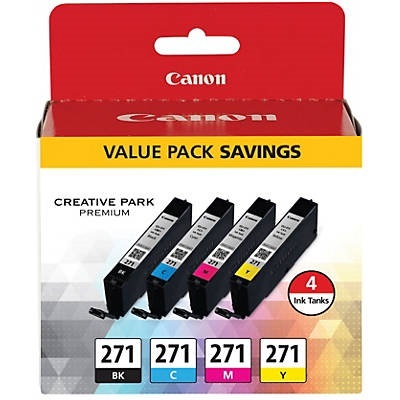 Genuine OEM Canon Ink Cartridge Bundle Pack, 1,795 (Black), 345 (Color) page yield. Bundle pack includes: one Black (CLI-271BK), one Cyan (CLI-271C), one Magenta (CLI-271M), one Yellow (CLI-271Y) ink cartridge. Canon part number: 0390C005, 0390C005AA.